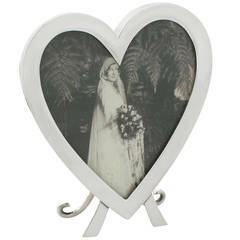 A fine and impressive antique Victorian English sterling silver photograph frame; an addition to our diverse ornamental collection. 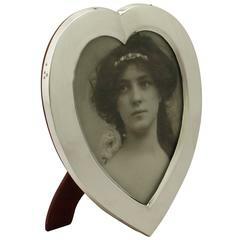 This fine antique Victorian sterling silver photograph frame has a rounded, waisted shaped form with a rounded rectangular internal window. 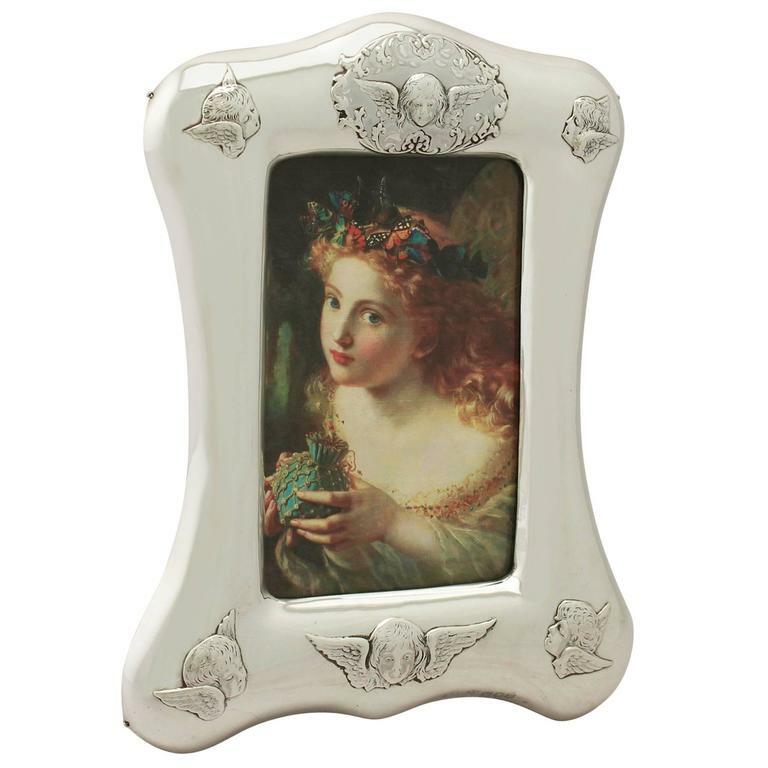 The plain rounded body of this silver frame is embellished with applied winged angel/cherub portraits. 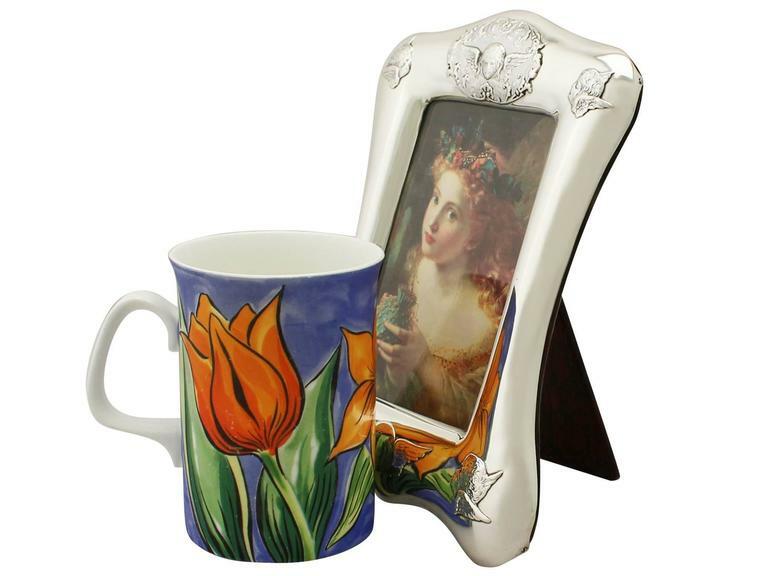 The domed upper portion of the frame incorporates an applied single cherub design encompassed with scrolling leaf decoration. 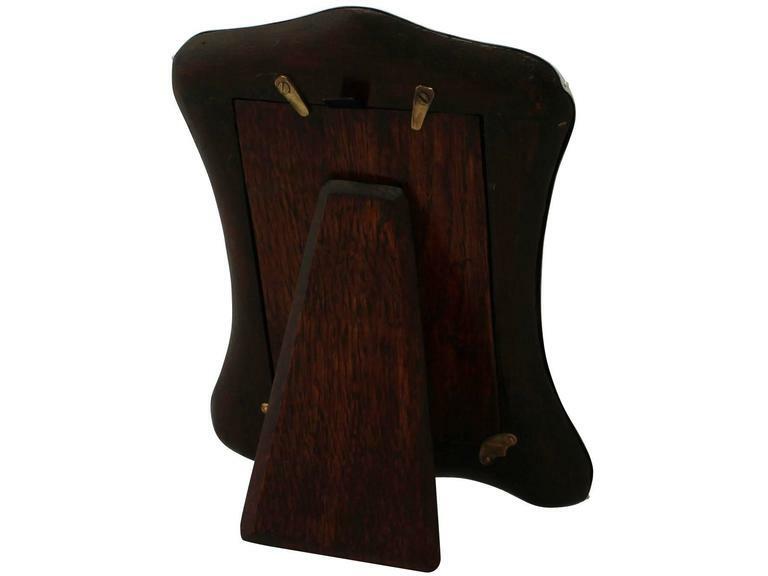 This frame retains the original oak wood back and hinged strut, securing with two swivel catches. 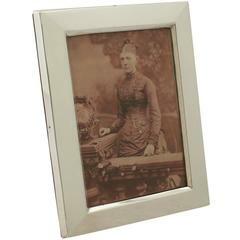 This fine Victorian piece is inset with a removable glass panel. 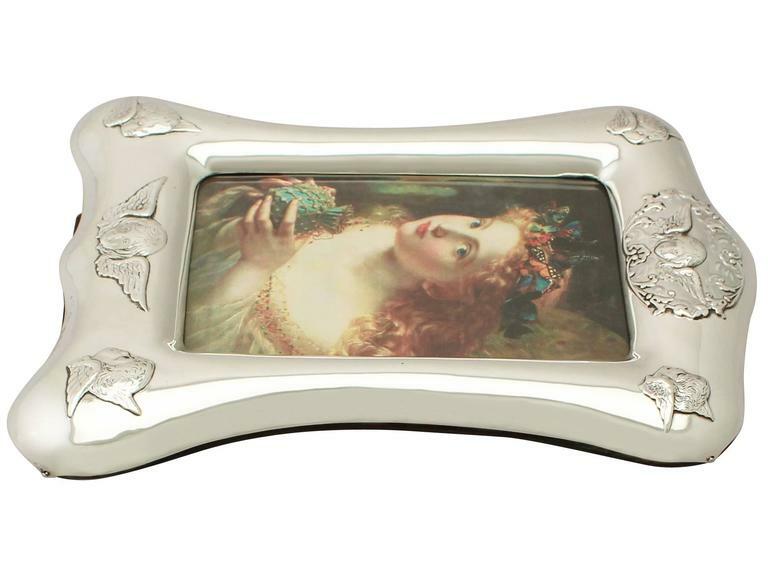 This impressive frame was crafted by the renowned London silversmiths William Comyns & Sons. 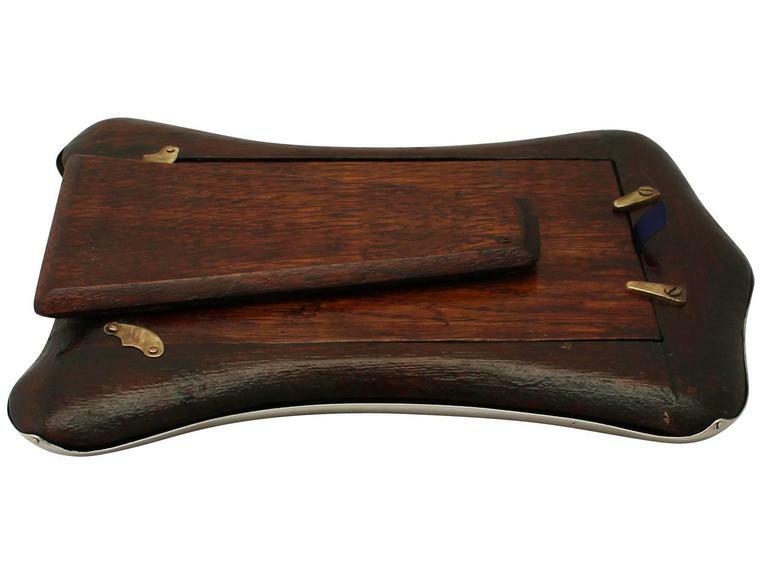 Dimensions: Height 19.5cm/7.7". Height of internal window 11.8cm/4.6". Width 15.6cm/6.1". Width of internal window 7.8cm/3.1". 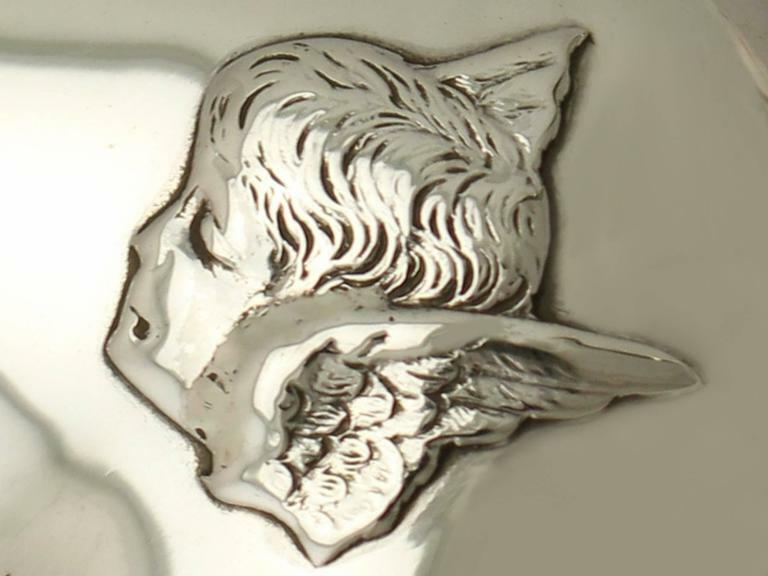 Depth 2.6cm/1". 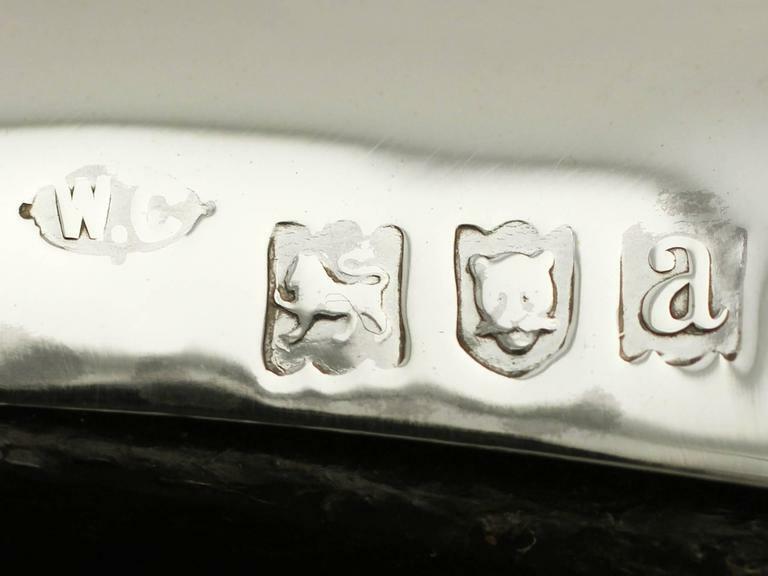 Maker: William Comyns & Sons. Origin: London, England. Date: 1896. Video: A video of this fine piece is available upon request. 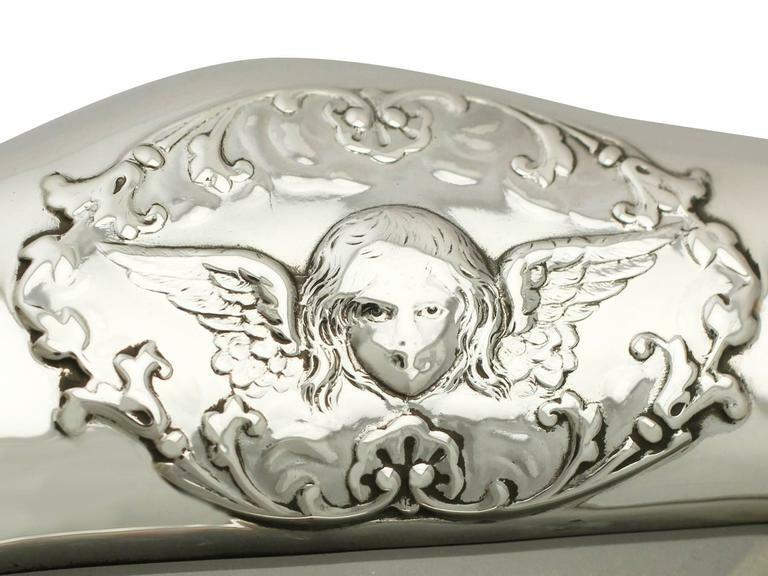 Reflections in photographs may detract from the true representation of this piece of Victorian silverware. 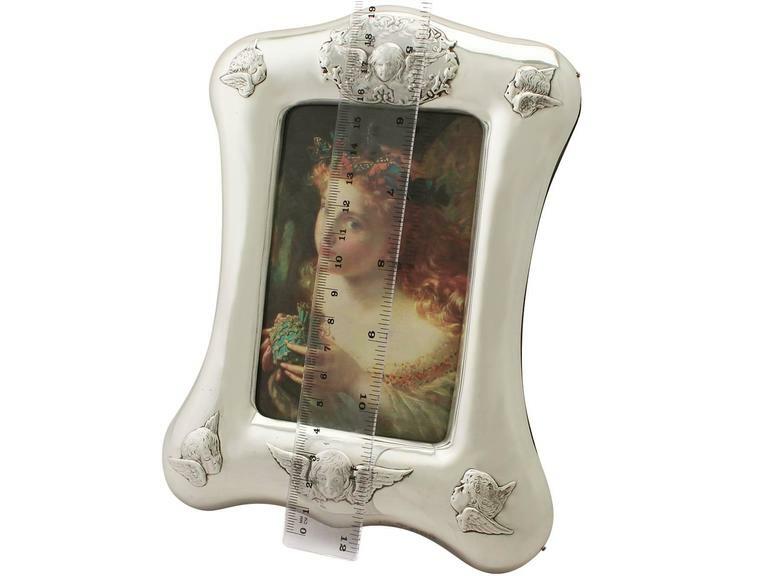 This antique frame is a very good gauge of silver and excellent quality. The silver frame and oak wood back are in excellent presentation condition. Full hallmarks struck to the surface of the frame are clear, in keeping with age and location.